Lights! Camera! 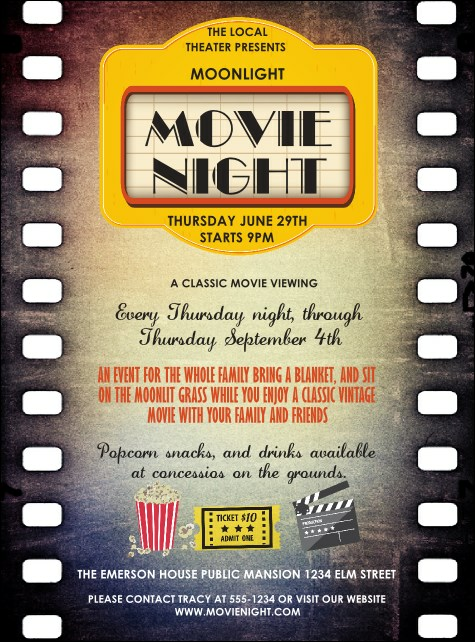 Get your promotions in action and distribute the Movie Strip Flyer before your big event! This design resembles a reel of film, with a marquee announcing your event. List all your party, fundraiser, or premiere details on the easy template and we'll ship them your way!